1) Creating images that encode what we want to remember and positioning them in “memory palaces”. This is the method of loci described so well by Joshua Foer in his book Moonwalking with Einstein. The encoding images must be very emotional. This strategy works very well because our memory for places and images is not only unconscious and effortless but also seemingly limitless.This has been proved for images by the famous experiment showing that we can look at hundreds of thousands of images and then recognize them later. For places it is enough to return in a well known house or town. We can describe everything that we will find around. Apparently it is enough to visit a house a few minutes to remember forever all these details. 2)Create a coherent story using the material to be remembered. This exploits our skill in finding and remembering new patterns. By creating a new story we show to our brain that the elements that we want to remember are indeed connected and so their remembering becomes almost automatic. We need only to remember the story beginning and all the rest is recollected without problem. These two strategies use different parts of the brain. Strategy 1 the spatial, visual and emotional memory (among others). Strategy 2 the semantic memory. In general we can say that more parts of the brain are used, more successful the strategy is! So if we can find a new strategy which is a mixture 1+2 we should obtain an even better method. Grilli “self-imagining” method seems to do right this. The mental images of the method of loci become imaginary events of our life where we enter as actors. 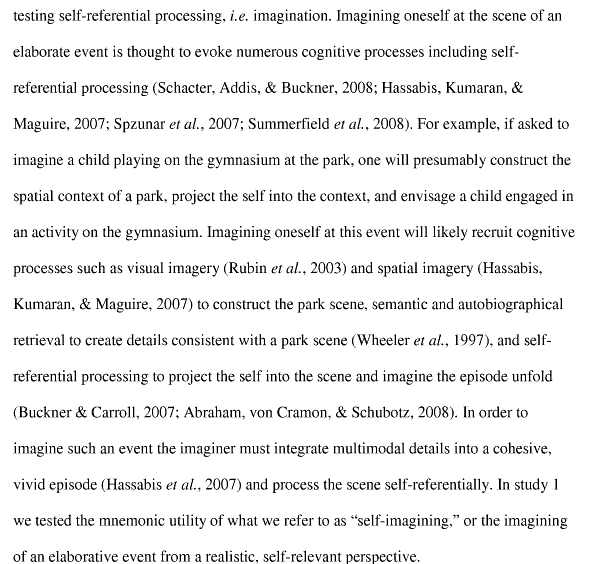 This is only possible if we invent a story that explains why and how we interact with these imaginary objects and people.In practice this activates the episodic memory in addition to other types of memories making the strategy effective. What are doing those virgins in Ravenna’s memory palaces?